Although I don’t have time to do any ribbon embroidery, I cannot help thinking about it nearly all the time. It’s so beautiful outside, so many flowers in bloom, and at this time of the year I just naturally see everything through the ribbon embroidery prism. As you may know I’m on my final year of the RSN Future Tutor programme, and it’s literally just a couple of months left till I graduate. I’m struggling at the moment to find any time for extra projects beyond what is in the curriculum, but I have a few ideas that I’d love to share with you. This might inspire you to start a new project! 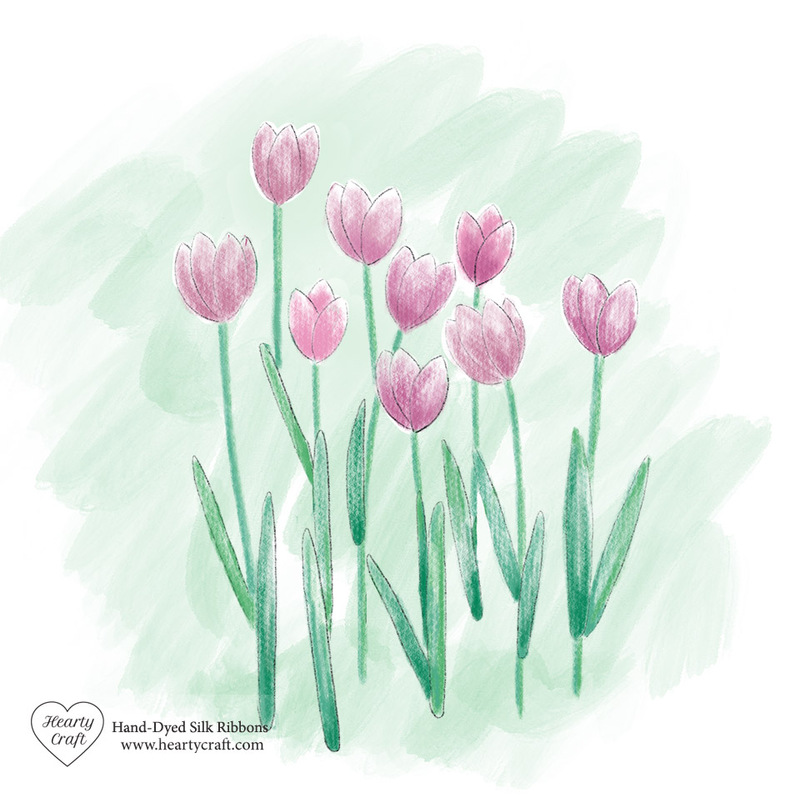 Tulips are some of the most stunning flowers, and they are really easy to stitch with silk ribbons. The variety and colour combinations are endless, which makes the tulip quite a versatile flower to stitch as you can use any ribbons you have in your stash. Sketching my design, I thought of pink variety and used colours similar to my Pale Magenta silk ribbon. This entry was posted in Blog Posts and tagged Flowers with silk ribbon, Free Patterns, Patterns, Silk ribbon embroidery on 28th April 2018 by Zinaida.